I remember my first games at Anfield vividly. Most of us do. Sure they merge into one and sometimes it’s hard to separate them out in your mind. The feelings are clear though. Snippets come back to me even now, transporting me back in time. All the old emotions come tumbling back along with the sounds and the smells. If I close my eyes for a moment I can see myself, with my Dad and Uncle, in a pub before one match. I’m drinking Coke and a packet of crisps lies untouched on the table. I’m far too excited to touch them. All I want is for kick-off to arrive so that I can make that pilgrimage up Walton Breck Road and climb the steps onto The Kop. The bar is filling up and more of my Dad’s mates have joined us. The noise levels rise and I can just make out fragments of conversation over the clink of glasses and the mutterings of Kopites crammed into the pub. There’s laughter, swearing and apologies. Someone winks at me and says “no good saying sorry to him now, he’ll hear much worse than that in the ground”. More laughter and someone tousles my hair. My heart is bursting. There’s a picture of the team on the wall with cups at their feet. It’s Liverpool and soon I’ll see them up close. This was a right of passage. I was part of a community back then, much bigger than anything I’d encountered before and the sense of togetherness had to be experienced to be fully understood. I was following in my parent’s footsteps and those who had gone before them. I felt ten feet tall. I’m being handed drink after drink. Soon I’ve got a collection of unfinished lemonades and juices on the table. My Uncle tells me “go easy lad or you’ll be peeing in your shoes if you drink all that.” When I got inside the ground I immediately see what he means. 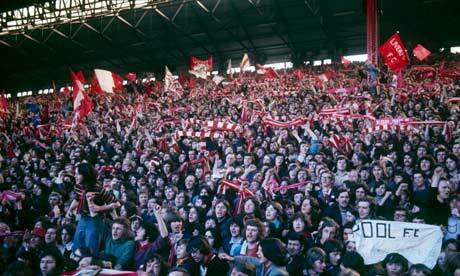 We’re in The Kop for this one and we’re all packed in tight. The air is full of sweat, cigarette smoke and the smell of stale ale. It’s a heady brew; intoxicating. We find ourselves somewhere near the middle and the toilets are a distant dream. It doesn’t matter though, kick-off is approaching. People are swaying back and forth and side to side. I’m fairly small and can’t see much. Then some fella I’d never met lifts me up and sits me on a crash barrier. I think nothing of it. It seems the most natural thing in the world. Suddenly the whole stadium lies before me. I see the pitch and my heart soars. I’ve seen Anfield on ‘Match of The Day’ many times before, but this is something else. The grass is so green. Sounds stupid I know, but this is the first thing that strikes me. The crowd are so loud now and and the noise seems to be coming from everywhere. Emotions swell up inside and I’m getting a lump in my throat. I think I’m going to cry, but that’s unthinkable. I swallow hard and join in with the singing. My voice is small and lost in the cacophony. I don’t care, I’m doing my bit. I’m part of it all. Even now, in the big games, when the stakes are high enough and The Kop rolls back the years, the ghosts of those first Anfield experiences return and I get that same lump in the throat and tear in my eye. 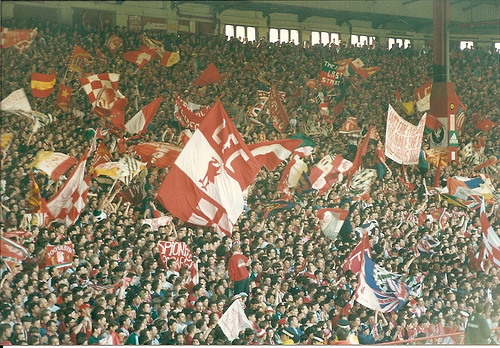 This is the Liverpool I fell in love with as a kid. It’s been a love affair that has burned for more than forty years. I’ve been lucky enough to see this team win everything. As I’ve aged and had kids of my own, naturally I’ve dreamed of them experiencing that magic for themselves; joining that great community and seeing that green grass up close. Sadly, due to the decisions being made by Liverpool F.C. this week, those dreams seem increasingly unrealistic. Future generations seem certain to miss out on the magic I took for granted. Fortunately I’m in work and although it gets harder each season, I’ve been able to give my kids these experiences. My eldest is now at University and struggling to get by on a student loan. He works two part-time jobs, but he can’t always afford to go. So, he makes do with cup games and the occasional league game. We seldom go together. It’s too expensive and tickets are hard to come by. Even if you get two tickets, you can’t always sit together. This week the club will announce it’s new prices for next season. The omens aren’t good and already supporters groups are expressing their disappointment. It seems it’s about to get even harder for people like me to pass on those experiences and traditions to the next generation. I still love Liverpool Football Club. After so many years it’s hard to shake those feelings. I guess I always will. However, I just don’t recognise the old bird any more. This isn’t the club of Shankly, Paisley, Fagan or Dalglish. It’s no longer the community I was so exhilarated to join in the 70’s. It is now a them and an us. Of course time can’t stand still. Liverpool had to change; it had to modernise. We all understand that commercially we lagged behind our rivals, sometimes comically so. Who can forget the club shop being shut the day after Istanbul? Most of us accept that the owners are businessmen who don’t have the same affinity with the club as we do. Of course they want to make money. That’s a given. All we ask is that in doing so they don’t take the piss. This weeks announcement on pricing suggest that our pleas have fallen on deaf ears. It really doesn’t have to be this way. The club stands on the threshold of unprecedented revenue streams. The new TV deals and increases in commercial sponsorship and merchandising receipts gave the club a real opportunity to give something back. They had a chance to set a benchmark and allow a whole new generation of supporters to go to the game. It is an opportunity they have spurned and their decision is incredibly short-sighted. 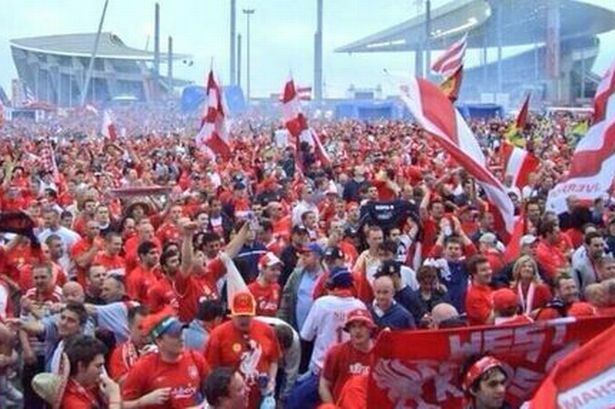 Liverpool supporters are as much a part of the history of this club as the five European Cups and eighteen League Titles. They are woven into the fabric alongside the greats, like Liddel, Hunt, Keegan, Toshack, Dalglish and Rush. Speak to supporters all over the world and ask them why they love the club. They’ll reel off trophies and memorable evenings. They’ll mention Gerrard, Carragher and Suarez, but they’ll also talk of the magic of The Kop; its songs, its flags; those European nights under the floodlights. 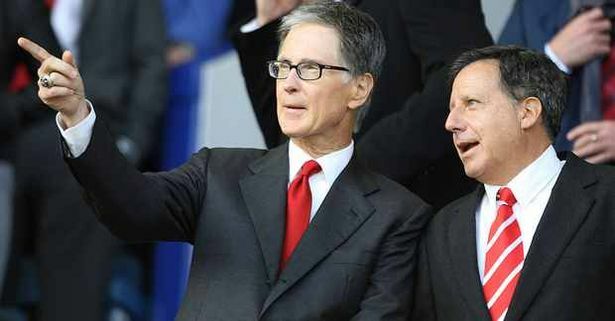 In short the fans are the goose that layed the golden egg and FSG look set to kill it. Spirit of Shankly and Spion Kop 1906 have engaged in good faith with the owners and the Supporters Committee. They have tirelessly fought for a fairer deal and have seen their efforts largely ignored. Who knows what spin the club will put on this decision. I do know it has priced a great many of us out of the game. We are being taken for granted by a club focussed more on the bottom line than the top of the table. The owners could have reduced the burden on the supporters. Instead, they have increased it. How much more are we prepared to take? I don’t know what the next steps should be. I’ve heard talk of boycotting games and merchandise. Will an empty Kop force them to reconsider? I fear it may be all we have left. The atmosphere has been improving lately, but this decision threatens to kill it stone dead. Some form of sustained protest is inevitable and certainly necessary. Whatever form that takes it has my full support. Enough is enough.